This photo is featured at Graceland. 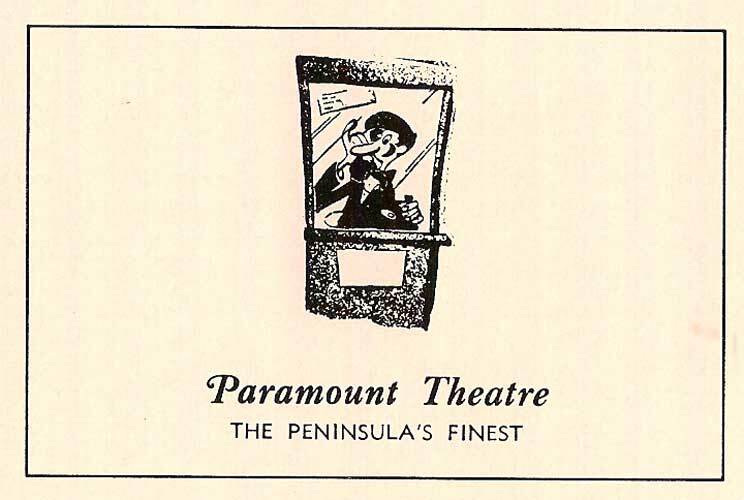 Attached is a picture I made of The Paramount box-office when I was on the staff of The Daily Press. The year is about 1962. It was part of a series I did about what folks in NN do for entertainment. Hope you like it. 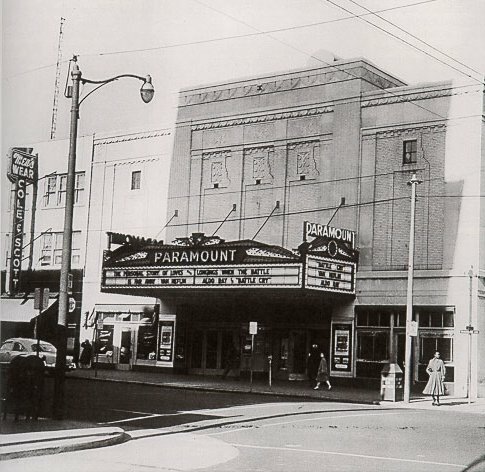 It's no big deal, but I do have a memory of "The Paramount, Elvis and Me". At the time, I was not of legal age to be by myself, so I had a babysitter in the afternoon after school for a bit. had a teenage girl in the neighborhood watch after me until she could get home from work. and was gaining popularity very quickly. He was appearing "live", with some others on stage at the Paramount. 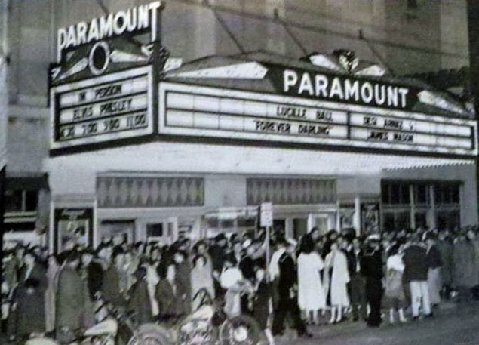 Remember, the Paramount had a stage? To say the least the place was filled with adoring teenage girls screaming to the top of their lungs. take a right toward 34th Street to head to the bus stop at 34th and Huntington to catch a bus home. and you could clearly see to the back walkway behind the Paramount. again mostly teenage girls, across the street, spilling onto Washington Avenue in front of Patrick and Silk's. 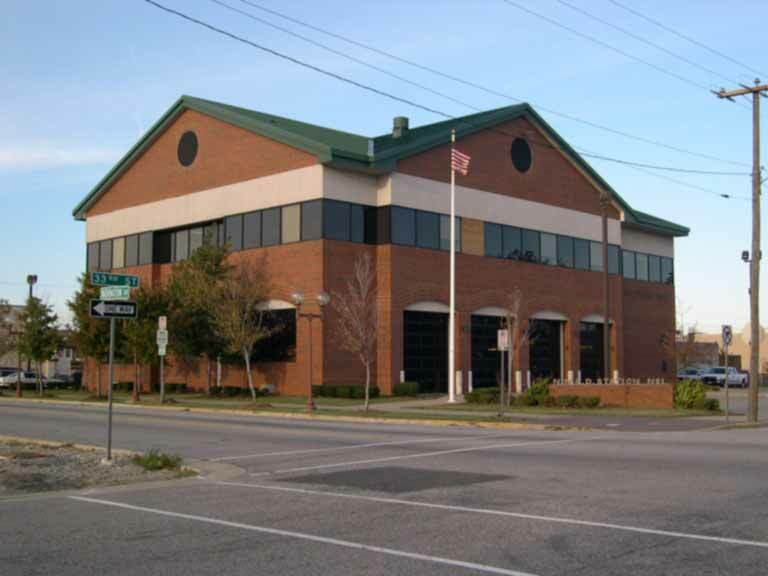 were going over there to sign autographs. was about across the street at Patrick and Silk's, I kept walking ahead looking backward toward the noise. something to the effect of, "Be careful there, big guy" or something to that effect. My babysitter says, "Do you know what you just did? ", to which I replied with something like, "I didn't mean it." She said (and again I'm paraphrasing), "No, no, it's OK! You just ran into Elvis Presley!" To which I'm sure I must have said something like, "Who's that?" in North End wanted to touch the kid that had "run into Elvis!" But, the fame was fleeting, as fame usually is, and soon I returned to being nobody. Wayne's Elvis story reminds me of one of my own. all these many years is a sign of the impact it had on me at the time. Mama and Eleanor and I had gone to see "Love Me Tender" at the Paramount. I just checked the release date, and it was on November 15, 1956, so it was sometime shortly after that. Suffice to say that I was nine years old, and it was a very chilly night. "Love Me Tender" is, of course, a tear-jerker, culminating with Elvis' death, and I emerged from the theater crying bitterly. The frosty air was freezing the tears as they fell on my cheeks. Mama told Eleanor and me (if I was nine, Eleanor was 15) to wait outside while she went to get the car for us. Unfortunately, I just couldn't stop crying. I cried and cried and cried. There was a young good-looking soldier standing nearby in his uniform. He took pity on me, and took a tissue and wiped my tears. I was deeply touched by his considerate gesture to a little girl he didn't even know. And y'all wonder why I'm such a sucker for a man in uniform! well, more than that but only two that I can share! appears to be on the corner of 34th & Washington, right? The theater was more toward 33rd. No big deal! It's the same area. and she called the school office and told on me and I got into trouble! 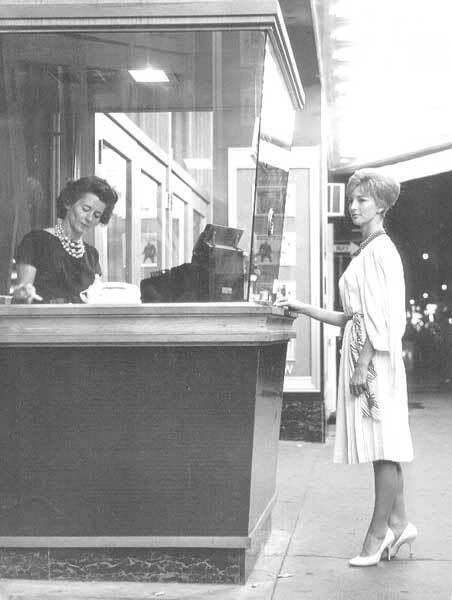 Several of your web pages mention Ms. Gladys Lyle, onetime organist at the old Paramount Theater. They brought back some fond memories. However, does anyone remember the Wurlitzer organ that used to be played by Gladys Lyle, and have they ever wondered what happened to it? Here's your answer. As of 2002, after a circuitous route, it ended up in Phil Maloof's house in the Las Vegas area. See details below. Barton Op. 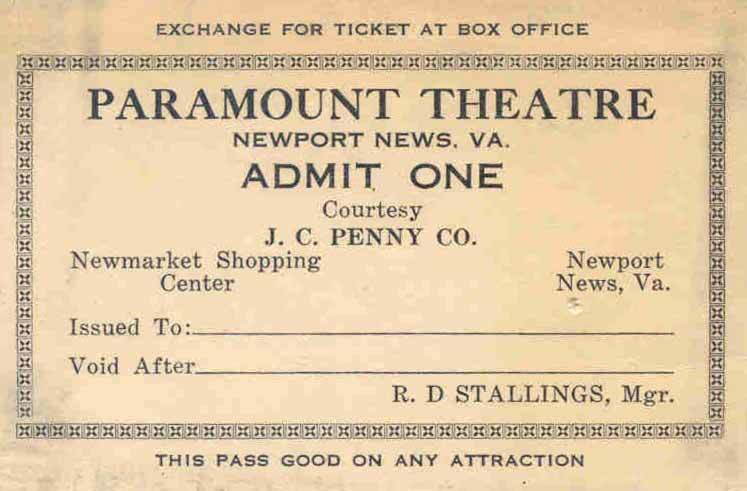 350 of 10 ranks and three manuals was originally installed in the Paramount Theatre in Newport News, Virginia. It has the distinction of being the last instrument shipped from the Barton factory in 1931. It was later installed in a theatre in Alexandria, Virginia for a few years, moved to the Midwest where eventually the organ was purchased by the Granada Historical Society and installed in the Granada Theatre in Kansas City in 1986 and had 11 ranks added to it. The Granada Theatre closed, and in 1997 it was purchased by Phil Maloof and installed in his Music Room here in Las Vegas. About the same time the six-manual console from the Barton 55-rank organ in the Chicago Stadium (which was torn down to make way for the new United Center, the pipes of the instrument were never relocated to a new home, and while in storage, 75% of the organ was destroyed in a fire) was also purchased by Phil Maloof and was completely restored and connected to operate the Barton Op. 350. The original console has also been retained. Another 10 ranks were added making a total of 32 ranks. In addition the organ has some "classical" ranks added bringing the total to 43 ranks. Bob Maes was the principal technician responsible for the current installation. "Former State Sen. Phil Maloof ran against Congresswoman Heather Wilson in 98' (in New Mexico) but now lives in Las Vegas, Nevada. The Maloof family still has considerable business interests in the state. Their Palms hotel in Vegas is a smash hit, despite a wavering economy." The family owns the Sacramento (CA) Kings basketball team among many other profitable interests. The below web pages provide a little detail of the Maloof family. Gladys would play the organ and the audience would sing to the lyrics projected on the screen. She didn't do this every day, and I cannot remember on which days or times she did play (likely the weekends) but I do remember her name, that it was a Wurlitzer organ, and that I enjoyed singing the songs while following the "bouncing ball. I remember a man's voice announcing over the public address system, "And here is Gladys Lyle on the Wurlitzer organ." The music would begin playing but with no organ in sight. Slowly, the organ - along with Gladys - would rise out of a pit near the front of the stage. The theater screen would then show the title and words to various songs and the bouncing ball would give the tempo as it bounced over each word. Gladys would say before each tune, "Just follow the bouncing ball!" Most of the audience would sing along to the popular tunes of the day. According to one of (the) web pages (of Charles Wicke - '45) (http://www.angelfire.com/bc3/gringoviejo/Perhaps.html), Gladys ran off with Harry Blackstone, Sr. and his magic show one year. I don't remember that either. Thanks, Glenn! I tend to think it is totally apocryphal, but we'll need to turn it over to the group. Now, on to Glenn (Dye - '60 - of TX) and Elvis. As you remember way back a few years ago when the few of us were the only contributors to the newsletter (remember, I said that we were "priming the pump" and eventually others would chip in? Boy, did I get that right! However, it shattered my perfect record of always being wrong! ),, oh, back to Glenn and Elvis. The date that he appeared at the Paramount was Feb. 13th. 1956, his "breakout" year! To my knowledge he was not arrested for drunk driving while here. He didn't smoke or drink at that time. Sadly, of course, his doctor would later help kill him with prescription medications. I just recently watched a documentary on amphetamines and found out that Elvis was introduced to "speed" by the Army!! They, "speed", were heavily used in the services during WWII, both sides, and afterwards to keep everyone awake. Little was known of their addiction qualities. This the only thing I remember about Elvis being in Newport News is Pam Pennington's ('58) insane crush on him. One day, soon after Elvis' visit, I saw tiny little Pam struggling on Washington Avenue with this huge cardboard cutout. I couldn't tell what if was from the back so I tapped her on the shoulder and as she turned around I saw that it was a life-sized cardboard Elvis. Pam, also life-sized was no match for the "Hunk 'a Burning Love" she was trying to wrestle it to the bus stop so she could take it home. She said it was for her room, and with tears glistening in her eyes, from frustration, I watched as she, all by herself, got Elvis up the bus steps and took him home. I hope she still has him stashed somewhere because that was quite a PRIZE for a smitten 'teen as Pam definitely was! This is the only story I know about Elvis being "STIFF" in Newport News, and HE wasn't driving...the bus driver was!!!! If Elvis was playing in Newport News I doubt he had a car, He and his group probably came in on a bus...I know I saw him leave on one, and he was with Pam Pennington!!!!!! Love from Sepi a.k.a. "Dimples"
I still don't know how she got this marvelous cutout; small but determined, our tiny Pam! in Bill Lee's (Warwick HS - '54 - of NC) article looks a lot like Codi Sinclair. You may wish to send the following account of attending the Elvis Presley concert at the Paramount Theatre in February of 1956 to Luca for the book. My friend, Archie Dail (who is now deceased), and I were there. Surely we were, and we saw and heard the Great Elvis. I remember it like it was yesterday and it will never be forgotten--that is the screaming girls, the great songs and Elvis shaking his boody. The theatre was full, not any standing room left, and after waiting for at least a half an hour and listening to the screaming girls and watching them jump out of their seats and yelling, "We want Elvis". The lights finally went dim and his band came out on the stage and played one or two of his hit songs. Finally Elvis made his way out onto the stage with his big smile and his head somewhat bowed and headed toward center stage. He walked over to the edge of the stage and as it was some three feet higher than the aisles, he was careful not to get too close for fear of falling off in the darkness. He brought a stick of gum he was chewing to his lips, took his fingers and pulled it out of his mouth and threw it on the floor. The place went wild and every girl in the audience ran down front, fell on their knees and starting yelling and feeling for the gum in the dark. Pandemonium broke out and the place went crazy. Fifty girls started jumping up and down holding a piece of gum high above their head proclaiming that they had found Elvis's gum. The entire time Elvis was just standing there with a big grin on his face waiting for the girls to settle down. I think a few of the boys even wet their pants. What a show Elvis gave, one that will always be remembered for eternity. A side note, Archie was a great Elvis fan and collected every record that he ever made. We listened to them over and over until the 45's and 33's were smooth and no songs were left. What a sad closure to one's life. Do you remember February 13, 1956? o perform 3 shows, but when they quickly sold out, he added a fourth. It also sold out. Thanks, Joe! My own answers are: No, No, and No. Let's see who really remembers!